This is a guest post from Kevin Watts who runs his own blog, Graduating from Debt. Kevin is an extremely talented writer and if you haven’t read any of his articles, you owe it to yourself to visit his blog. You are no doubt familiar with the saying “more month than money” and probably relate to it only too well. The seemingly never ending challenge to stay one step ahead of the debt collectors is a stress that far too many people are familiar with. It doesn’t have to be that way. An effective budget can ensure you never have to feel that overwhelming sense of impending doom ever again. Taking control of your finances and implementing a well thought out budget takes awareness and an honest assessment of your needs. Too often we mistake our wants as needs, and this may be one of the contributing factors to your overspending. some time. If you have been providing good service to your employer and feel you deserve an increase in pay, this may be the time to ask for one. If married, both you and your partner need to assess your income and decide whether there are grounds for asking for more. Listing all of your expenditure makes you realize that there are plenty of opportunities for money to ‘leak’ out of your pockets. 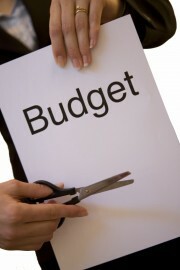 A budget will quickly and clearly show where those leaks are, so that you can then plug them up. You may be surprised when you find out how much disposable income you have when you stop spending indiscriminately. Money worries are a major cause of distress within a marriage. Creating a budget and living by it can bring a you and your partner closer together. Both of you can discuss your financial concerns openly and honestly, and it allows for a better understanding of each others point of view. Working together to solve your money problems can make your marriage stronger, as well as greatly reducing the stress that both of you have been living under. Knowing that you no longer have to feel that you are battling your financial problems alone is liberating. A budget can change your life by bringing structure to your relationship and / or family, where perhaps before there was none or very little. Where once one of you would have paid the bills as finances allowed, always feeling like you were fighting a losing battle, you can now both sit down on a regular basis and pay the bills together. Declaring your expenditure between budget meetings can keep your both accountable. This does not mean that either of you should feel guilt over necessary spending. Instead it makes you aware of how, where and why you spend as you do. An effective budget will encourage regular saving, no matter how small an amount you can manage at first. While previously there was never money available for a vacation, with regular saving you can plan to take some well deserved time off from your job and get away for a while. Even a weekend vacation can be therapeutic, particularly if finances have prevented you from taking time off for any great length of time. Taking a short break every so often is vital to your mental and physical health. While it is quite normal for parents to want to keep their financial problems to themselves, a couple can share their budgetary plans with their children. Kids seem to always ‘need’ something, whether it be a new pair of the latest trendy jeans, or money for a school trip, or any number of other costly things. Once your children are made aware of the financial problems you are having, and the budget that you have put in place to address those problems, they can get on board with you and help to keep spending to a minimum. Sharing your problems (where applicable) with your children makes them feel that their input is important, and can be great for their self esteem. Having to face up to your past mistakes and learn from them is important to your own growth. Being responsible going forward is encouraging. Managing your finances, reaching financial goals and meeting your responsibilities is very rewarding. If you are in serious debt, it can be very satisfying to see the progress you make as your debt gets paid down. A budget will also teach you the skills to avoid ever getting into debt again. A budget truly can change your life! A budget will also give you a clue as to where your money is going. If you know where it is, you can tell it where it should go. I would suggest telling all those stray dollars to head to your savings account so you can activate your compound interest friend! After all, it is the most powerful force in the universe! Compund interest is indeed one of the most powerful forces in the world! I would first make sure the stray dollars headed towards any debt and then towards savings! Realizing where your money is going is one of the most important steps in educating yourself about personal finance. There are many tools that allow you to do this so now there are no excuses! Ever since I’ve started keeping a budget over the last few months it’s been able to help me spot all kinds of places where I’ve been overspending. For there it allows me to cut down spending in those areas and save more and pay down more of my debt. Spot on Chris, same here. Keeping a budget lets me insure that I’m allocating money towards debt releif! Keeping a budget keeps in line with your spending habits and allows you to change and be mindful what are you spending on. I learned budgeting and saving principles in early age. I read a book “Money is my friend” which at that time provided me with excellent point of view at budgeting and saving. I still follow those principles. For example saving for purpose in a different dedicated accounts is a great idea in my opinion. As far as budgeting, lately I have problems to follow up the budget. Something I must learn again. Martin, I wish I had someone mentor me or at least give me some good material when i was young. it took me quite a while to get to the point where I created a budget for myself! Saving for a purpose is a great idea. In fact setting goals and having a purpose behind them gives you the fire to follow through! Sitting down together and looking at your finances — not always fun if you’re having issues, but when you get control of it and are making progress (or, even better, building serious wealth with each paycheque), it’s an awesome positive reinforcement. Kevin, you’re right on here. We started budgeting, finally, in January of this year, and it has indeed changed our lives. Even though we are a long way from debt free, just knowing that we have a plan and that structure has done wonders for our family relationships, our stress level and our peace in general. Get a budget, people – you’ll be SO glad you did! I am glad you got started. It always the hardest in the beginning but once you get past the initial shock it becomes a lot easier to manage. I would totally agree on the improving relationships point. Getting our finances on track has relieved so much stress, some that we didn’t even realize was there. I was recently applying my budget and actually thought about the large amount of cash I was saving for retirement. I realized I don’t even think about this money, it just gets shunted over to my brokerage automatically. It’s a significant chunk of money and if I didn’t have a budget to follow, I’m sure I would just find other ways to spend it. If I had to rely on a mental note for budgeting I would have been filing for bankruptcy a long time ago! I don’t think I could handle my cash flow without a budget to use for guidance.